Olive Oil Will Keep Your Heart Healthy And Disease Free, How? Olive oil has been promoted for hundreds of years, especially in the Mediterranean countries as good for your health, especially heart health. The question is why? What’s in the olive oil that is so great for our hearts? Scientists at St. Michael’s Hospital in Toronto, Canada, may have now found the answer. A protein in our blood called apolipo-protein A-IV (ApoA-IV), increases after we eat, especially after eating olive oil which is high in unsaturated fats. They found that it plays an important role in preventing a major cause of heart attack and stroke. Olive oil which contains the protein ApoA-IV, blocks blood platelets from excessive clogging together. In order to form a clot, platelets have to stick to each other. This happens through a bridge made from a protein called fibrinogen. It connects to the platelets by binding to a surface receptor called integrin αIIβ3. Researchers found that ApoA-IV reduces platelet clogging in blood vessels by blocking their integrin αIIβ3 receptors. This action prevents the platelets from binding to the fibrinogen protein. Amazingly, ApoA-IV also prevents blockage in blood vessels by changing their shape, which eases and increases blood flow. This also explains how ApoA-IV in the blood slows down atherosclerosis and thrombosis, which is connected to platelet function. Olive oil is the catalyst as it’s rich in unsaturated fats. In fact, any foods rich in unsaturated fats will cause blood levels of ApoA-IV go up. 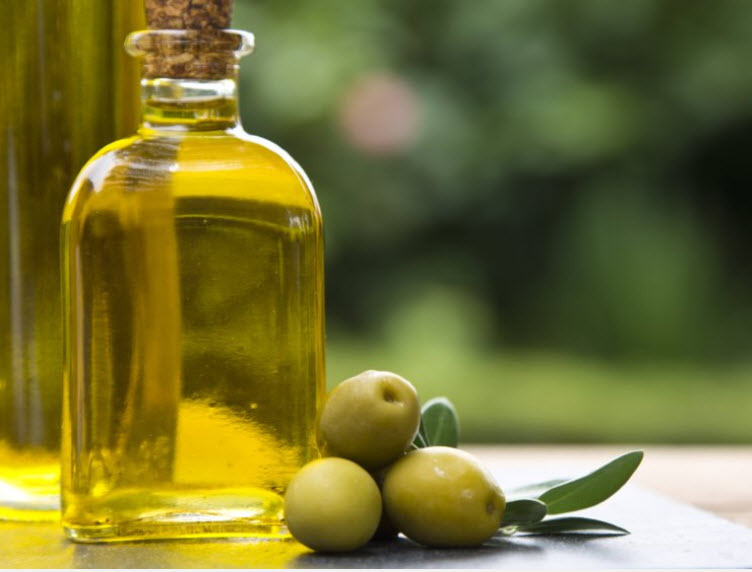 The researchers suggest that the rise in ApoA-IV blood levels following meals containing olive oil also reduces platelet hyperactivity and clogging. This reduces inflammation, which has previously been found to increase stroke and heart attack risk. They also found a link to sleep patterns. ApoA-IV is busiest when we are asleep at night, and its lowest level of activity is in the morning. It therefore appears that ApoA-IV protects our heart while we sleep. And, therefore, it is more likely to experience a cardiovascular event after waking up in the morning. The results of this study clearly indicate that eating foods high in unsaturated fats such as olive oil promotes heart health. So too, getting enough sleep. Increasing the levels of ApoA-IV in your blood can help lower your risk for atherosclerosis, stroke, and heart attack.